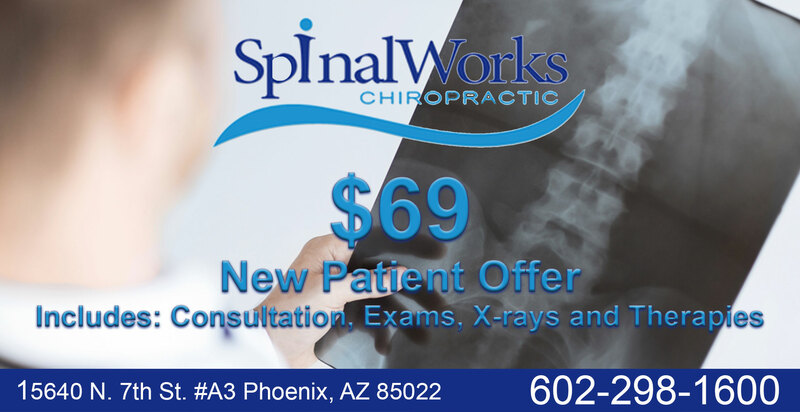 SpinalWorks Purpose is to help as many people as possible achieve their full health potential by education of chiropractic wellness dedicated service through the healing power of Jesus Christ. SpinalWorks Chiropractic's belief centers on the premise of working with our patients, treating them on an individual basis, taking time to listen to them to better understand their needs and goals and how we can be a vital component in achieving those goals. This individualized approach helps us to fulfill our purpose in patients successfully attaining their full health potential and is the philosophy our entire team has adopted. If you have experienced any of the following: injured in a car accident, sports injury, yard work injury, injury from moving wrong, workout injury, severe chronic pain or just looking for ways to beat everyday aches and pains, come visit us and see that we are committed to providing you with our best care, which is highly effective and completely natural. 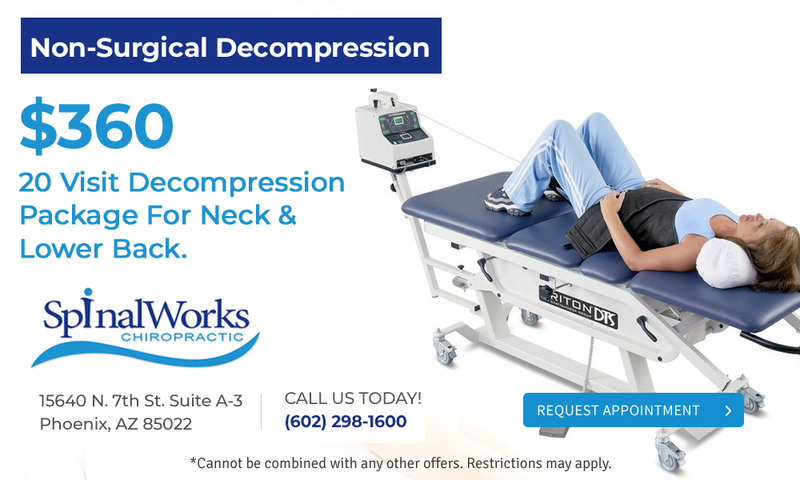 SpinalWorks Chiropractic in Phoenix Arizona is equipped with an onsite digital x-ray facility, therapeutic equipment, decompression table, a physical rehab department, alternative adjustment tools as well as an onsite Nurse Practitioner. Dr. Steve, D.C. is skilled in a variety of treatment modalities, including Active Release Technique, Upper cervical Technique, manipulation under anesthesia, Flexion Distraction Technique, Thompson Technique, Chiropractic biophysics, Pettibon, Diversified Technique, Gonstead Technique and Sacral Occipital Technique SOT. Our office even offers support products to help you in achieving your goal of great health. We carry support pillows, TENS units, personalized lumbar support belts, custom-made support orthotics, back supports, joint supplements, and more. Scoliosis treatment is used with flexion distraction. Flexion/distraction therapy has been used by chiropractors for decades to help treat patients with herniated discs, scoliosis and low back pain. 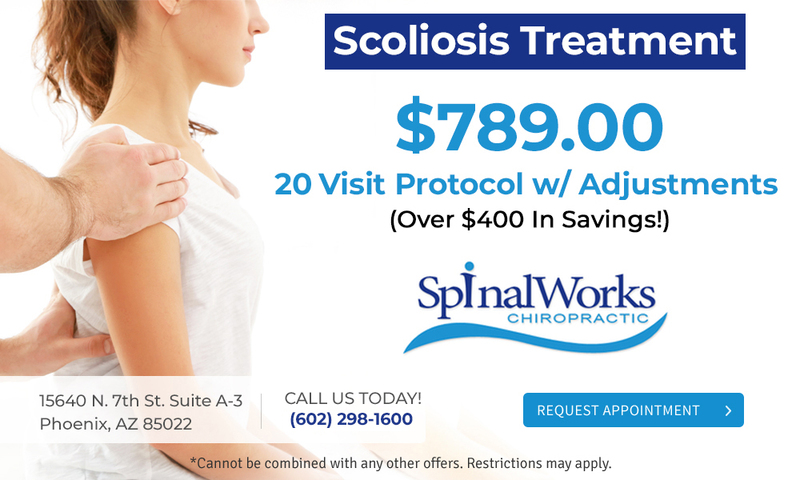 This specialized form of flexion/distraction therapy for scoliosis was developed specifically for the CLEAR Scoliosis Institute by Dr. Leander Eckard, a world leader in chiropractic. 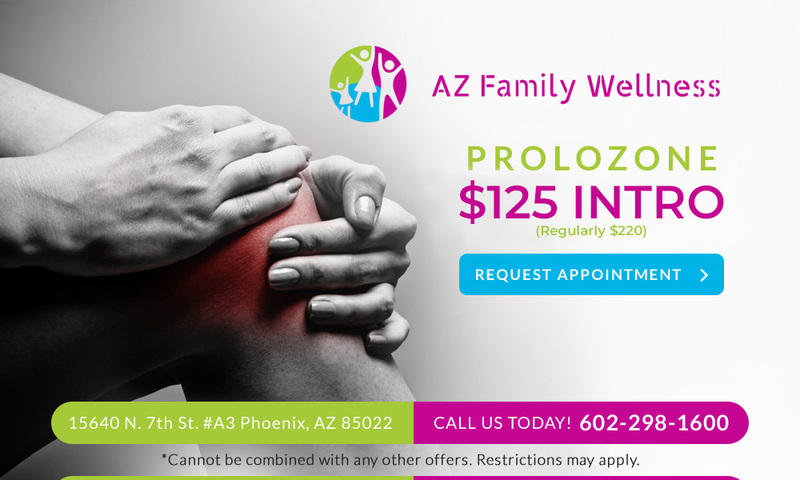 Prolozone Therapy is a non-surgical process of injecting ozone directly into the impacted area to increase the amount of cellular oxygen into muscles, ligaments, and joints. Unlike the healthy cells that thrive in oxygen, disease causing bacteria (i.e. viruses, parasites, and fungi) are mostly anaerobic and are not able to survive in high oxygen environments.Because Prolozone Therapy goes directly to the root cause of the pain it delivers immediate relief! 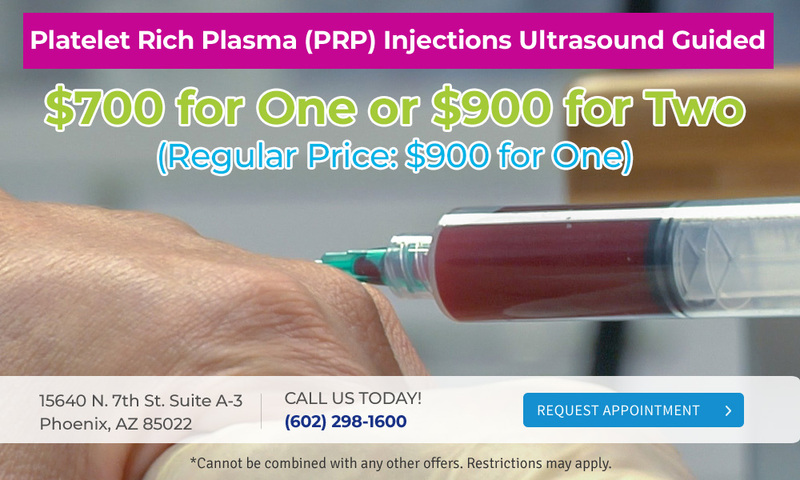 Most patients can expect an immediate 50-80% decrease in pain after just one treatment. 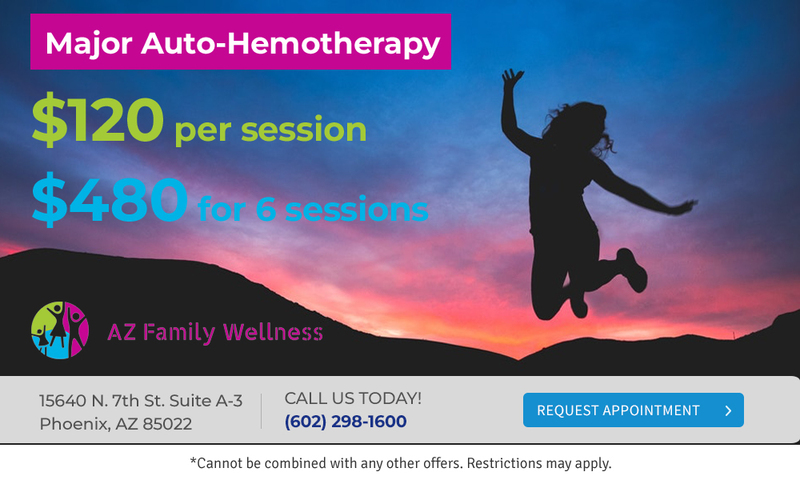 Major Auto-Hemotherapy (MAH) involves the injection of medical grade ozone gas into blood drawn from a patient. The ozone is allowed to mix with the blood for a period of time. This is because the blood has been super oxygenated.